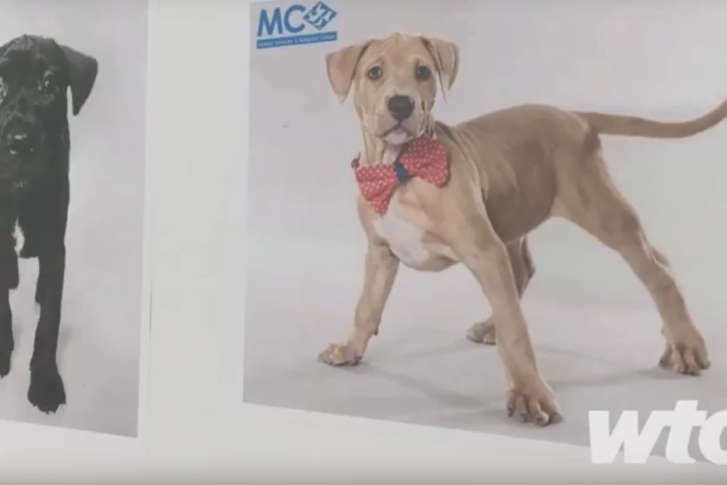 A man who abused puppies in Silver Spring receives six months in jail, and one puppy's owner tells the courtroom how both dogs were reunited and are thriving. What do hardworking nurses want during National Nurses Week? 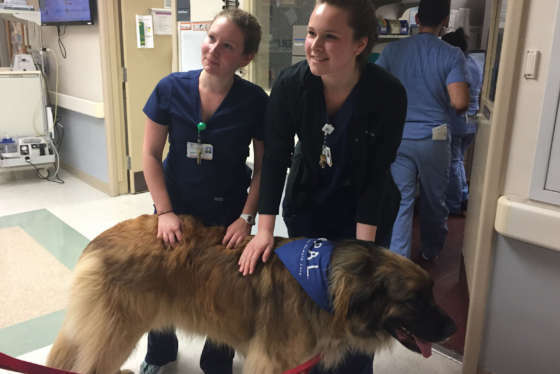 MedStar Washington Hospital Center found the answer at the end of a leash. As the police cruiser speeds to the scene and stops, the camera shows the puppies, one black and one tan, hanging limp and lifeless from the hands of a man who later told a judge he had smoked marijuana and was so high that he didn’t know what he was doing. As police struggle with the man, he holds tight, flinging the tiny pups wildly. Finally, he drops the tan dog, and a passer-by scoops it up to cradle it. The black puppy is freed, and police officers cluster around to check for signs of life. Jones, a Wheaton resident, told Judge Gary Bair at his sentencing Wednesday that he had no memory of the incident, that he had been smoking marijuana and that he wasn’t aware of what he was doing. “I would never do anything like that in a sober state of mind,” he told the judge. But the judge sentenced Jones to six months in jail — what prosecutors had requested. After seeing the video of that night played in the courtroom, Sarah Martinez was asked to speak. She tearfully explained that her husband was one of the responding officers and told the court that as a police officer, her husband usually kept the details of the roughest cases to himself. But this one disturbed him. They then decided, Martinez said, to see how the puppies were doing at the emergency clinic where they had been taken. Speaking to reporters after the sentencing on Wednesday, Martinez recalled her first meeting with the tan pup. “It was a sad sight,” she said — the puppy had suffered lung damage and was in an oxygen chamber. “He was crying, but nobody could get their hands on him because he was in the oxygen chamber. So we could just stick our hands through the hole,” in order to pet and comfort him. Chance’s sibling, a little black pit bull mix, was adopted by a different family. Since that day, Martinez and Mia’s owner have been in contact. “We’ve become friends by fate,” Martinez said, and Chance and Mia have become buddies, having regular play dates at the local dog park. “Dogs are such selfless animals, and they love with all their being. He’s very much a part of our family,” Martinez said.